Working on a new paper about peasants in art. 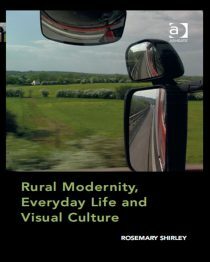 Keywords: John Berger, Rural Modernity, Raymond Williams, Pastoral, Everyday Life. I’ve made a pretty diagram, do I really have to write it as well? Gave a lecture about litter today, thinking about how people and things can be thought of as being in the wrong place – and the anxiety this causes. This sign was in the lecture theatre. The traditional red, white and blue, keeping things tidy often has an element of patriotism attached. This is Chinley station at 5.55pm – yep that’s rush hour people. You will notice I am totally alone. Loving the dramatic twilight though – Gregory Crewdson, I’m coming for you. There’s something so appealing about miniature stuff. Ask Susan Stewart she knows. Also one of my PhD students Ralph Mills, he knows. All the puddle look like this – why? Marmalade marathon with my mum and my grandma, it tastes THE BEST. My Dad’s latest triumph. So impressive. He also knows about the lure of the miniature.